Are you interested in having a custom made wedding ring to perfectly match and fit together with your custom made engagement ring? We can help you choose the best style, size and details to complete your look. 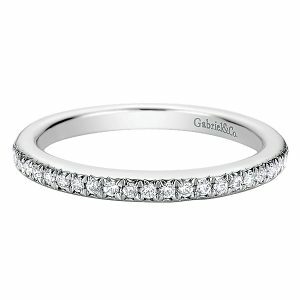 Having a custom made ring allows you to completely reflect your relationship and her personality in the look. No one else in the world will have your unique and personal ring design. We will ensure that your wedding ring is exactly the design that you have in mind, put it to paper and then eventually produce the ring of your dreams.